test facilities in the basalt formations beneath the great salt desert of Dacht-e-Kavir. 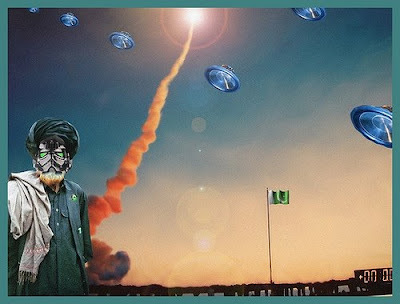 Supreme Leader Ali Khameini announces baldly that his nation has manufactured weapons-grade fissionable material enriched to nearly 100% (in lieu of 5% enrichment for peaceful nuclear reactors)." Two days later Great Satan launches the most audacious regional series of regime changes ever implemented in history, Officially dubbed 'Operation Boundless Freedom" Allies and enemies alike refer to it as 'Operation Great Satan"
3 Iranian submarines are destroyed - 1 in the Med, 1 in the Atlantic and 1 in the Indian Ocean. Another surrenders and defects near Barcelona. Naval and air force assets at Bandar Abbas are hit with a combination of missiles and a French- Saudi Amphibious assault from Qatar and the UAE. Waves of Tomahawk cruise missiles streak through Persian aerospace from ships and subs - effectively targetting the Iranian air force - air fields, missile sites and air defense systems are struck down within hours. Communications are totally co opted or overwhelmed cybernetically. Nearly 50 B2 Stealth bombers sortee to to strike IRRGC command and control HQ's. virtually all of Iran's electric grid and computer systems"
Airborne troops from Great Britain and Great Satan sieze all passes through the Zagros mountains - effectively cutting Iran in half. Special Forces strike and hold especial clerical compounds in Tehran and Qom right before Friday prayers. Nearly 20% of Iran's ruling praetorian guards and mullahs are captured, killed or missing by breakfast time. Armed insurgencies break out across Iran as ex and au currant MEK groups strike, sieze and hold towns and cities. At the same moment, Little Satan launches a panzer blitz straight up the Bekah Valley. Key turf captured and held by paratroopers and commandos. Syrian missile batteries are captured or annihilated by waves of attack aircraft and Syrian armor fights a desperate retreating battle - outmatched and over whelmed by a new school combo of vertical envelopment as armor surges and chops through an immense junkyard of wrecked, smoldering Russian built tanks and a flood of broken Syrian conscripts. Great Satan' s seaborne regime changing Marines hit the surf just north of the Litani river in Lebanon and methodically grind and leap frog straight through the heart of Hiz'B'AllahLand. Known missile batteries and weapons caches (many in innocent civilian rich areas) are captured by chopper borne marines and French commandos or trashed. HBA's command complex in Beirut is clamped shut by heavily armed Marines after precision cruise missile strikes. The IAF incinerates the power grid in Damascus and by the 3rd day - Littles Satan's self propelled artillery is shelling the Presidential Palace. Downtown Damascus is cut off and resistence crumbles. Within 5 days, Iran is reduced to a state of near paralysis, unable in any sense to retaliate militarily, its entire economic infrastructure in shambles. By this time the largest armored division in history has left Iraq and "Old Ironsides" is within striking distance of a thunder run into downtown Tehran. Riots wreck the regime and a caretaker gov is installed by the Iranians themselves. Syria is occupied and Hiz'B'Allah is history. Lebanon starts to rebuild the ME's riviera. HAMAS is suddenly confronted by a host of alternate, well armed. tolerant, egalitarian political movements (funny too - the Strips pop magically increases by nearly 40K) and has a real fight - politically - on it's hands to maintain a bizarro land where death is precious, praised and preferred. Sound crazy? Hold up - Check out the tease and inspiration for this all original scenerio in "Iran, Le Choix des Armes" by Francois Heisbourg. Alas, unavailable in English yet, the PR looks interesting. makers from Thompson to Matra." I like the black and white version here, as well as yours. There is no political will left in the UK to fire so much as a popgun at Iran. I suspect the US is heading in that direction too. I am sure the US would have the power to damage Iran severely - though it might get a nasty shock if enough Russian-made missiles are lobbed at its Gulf fleets; back in 1987 Iraq hit one of its vessels with two primitive exocets and in 1991 only HMS Gloucester prevented USS Missouri from taking a silkworm; Iran is likely to have much more sophisticated weapons (though of course US vessels are also more sophisticated now). But while Iran would be overwhelmed militarily IF there was the political will for it in the US, what of all the terrorist attacks that will inevitably follow on Western soil ... and will Iraq just be abandoned? Hi Ump, perhaps not. OTHOH - if the opening conditions were indeed to unfold - there would be little sympathy for maintain 'stability' for a regime that recently made the transition for a state supporter of terrorism to an actually terrorsit regime. The recent 'lections in the Majiles actully shows the IRRGC has 'eclipsed' the mullahs in power and infrastructure. Hiz'B'Allah is one of the most powerful weapons in Iran's arsenal. The horrific strikes they could launch on American soil are very disturbinbg - sans nukey stuff from their BFF's in Tehran. If open combat were to occur - and HBA acted out in America - it would result in slow news leaks along the lines of "8th Marines - Secret Order - No Prisoners For 2 Days." Political will for such a strike is NOT an issue. If doen correctly, a PR campaign against the HBA - the most prolific serial killers and tormentors of Americans till 911 time - would be quite easy and have the added benefit of being true. There would be little Poli Will to allow the Mullahs to make a trans from a semi regional power (bear in mind Iran is actually quite WEAK militarily) to a real, nukey regional power.